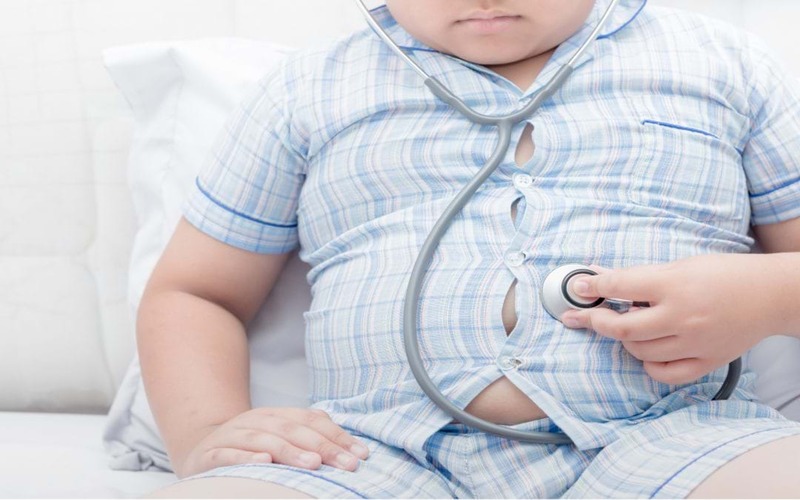 What is obesity-Obesity or overweight can be referred to as a serious, chronic condition caused due to abnormal accumulation of fat, which can lead to devastating ill effects on health. Obesity usually occurs with time, when you eat more calories than you use. The balance between calories in and calories out varies for each person. Things that might affect your weight include your genetic makeup, overeating, eating high-fat foods, and not being physically active. With various studies and ongoing research, it has been very apparent that obesity can have negative effects on many vital systems of our body, with a much greater risk of developing dangerous health concerns. Thus, if you are obese, it has been evident that if you lose 5 to 10 percent of your weight: you can delay or prevent some of these diseases. With age, we experience a delayed metabolism, as a result of which eventually the muscle mass is replaced with the fat deposition. It should be noted that it is very important to have a realistic approach in digestive ability, while you grow old. Apparently, sudden hormonal shoot up during menopause, force many middle age women to eat more and be lethargic; facing the issue of unusual weight gain. Thus, it is advisable to have a check on a total calorie intake and count steps; to minimize unnecessary weight gain. Sleep deprivation can as well be one of the important reasons for an abnormal weight gain. It has been observed that people, who sleep for few hours are more hormonally imbalanced and hence gain weight through unnecessary munching. It is as well proven that these sleep deprived people are more tend to eat high calorie food, in order to satiate different points in their brain. The science has authenticated that proper sleep helps in maintaining a healthy balance of the hormones that make you feel hungry (ghrelin) or full (leptin). When we don’t get enough sleep, your level of ghrelin increases and level of leptin decreases, this makes us feel starved. Studies have suggested strong connection between genetic structure and tendency to be overweight or obese. It should be noted that genes also affect the amount of fat that is being stored in the body. As a matter of fact, a healthy life is most importantly characterized by a healthy behavior that emphasizes on a healthy diet pattern and regular physical activity. Coronary Heart Disease, due to narrowed arteries as a result of excessive fat fat deposition on the sides of the walls of arteries. Cancer, due to overburdened colon, endometrial organs and gall bladder in order to metabolize excessive fat. Osteoarthritis, due to excessive weights on crucial joints. Sleep Apnea, due to breathing problems as a result of fat storage around their neck. Overweight and obesity also raise the health risks for children and teens. Type 2 diabetes and other common diseases were once rare in children worldwide, but due to more indulgence in junk consumption, cold drinks and sedentary lifestyle; the scenario has apparently seem to be changing. Obesity can moreover lead a child to experience a mental and social stigma; affecting his performance to a great level. An effective weight loss involves more than one way to approach, and your health care assistant will conclude, which options are good for you. Among all of the different ways to weight loss these few are critical to help an obese person. While different weight loss approaches can be incorporated, through expert consultation; science and technology has as well enabled effective management of obesity associated conditions through non surgical approach, like stem cells therapy. Stem cells are the unique cells of a body with the ability to differentiate into desired tissue specific cells, in order to restore lost function back. The medical science has utilized this ability of stem cells to treat variety of conditions, like cardiovascular disorders, metabolic disorders, infertility, etc. Although, prevention is always better than cure, one should be very thoughtful in exploring new technology, which can offer better benefits post prevention periods.